Save up to 60% in health tracking costs. Thanks to our cloud-based software and mobile app, you can follow up your patients’ evolution wherever you are. Store all data directly in your patients medical history, ready to be consulted when needed. With DinbeatUNO your patients will be safe and constantly supervised. You can custom your notifications depending on your patients needs. 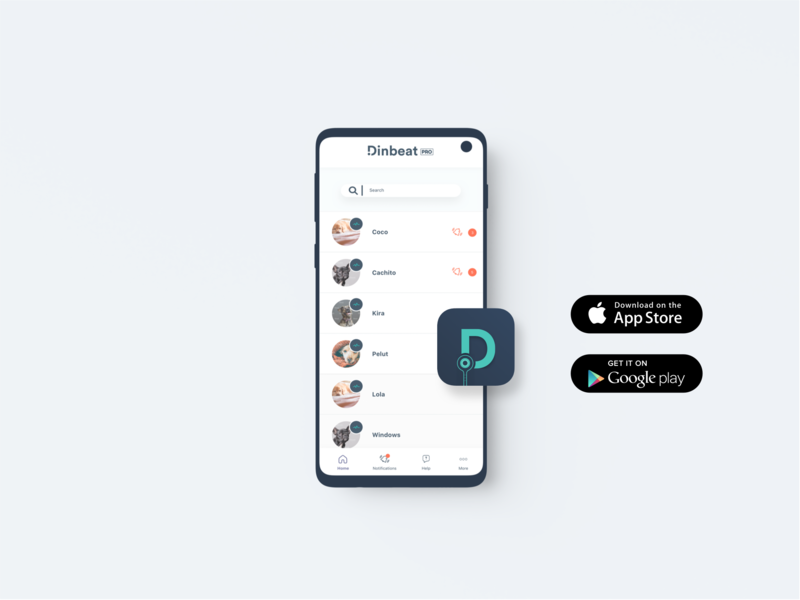 DinbeatUNO informs if there is any problema with your hospitalized patient, so you can quickly react. Get all the key information in your hand. Visualize electrocadiograms with the highest quality, in real time and wirelessly. Store all the graphs directly in your patients medical history. DinbeatUNO can calculate your patient heart rate based on the electrocardiogram information. In addition, It also warns you if the value obtained is above or below the thresholds you have set. Visualize in real time your patiens’ breath per minute, wiressly, without manual calculations and without stressing pets. Monitor the evolution of your patient’s temperature. Our thermometer helps you detect fever, hypothermia, heat stroke, etc. The position of your patient can provide you with valuable information in cases of injury and pain. By crossing this metric with vital signs you will be able to obtain added value information. 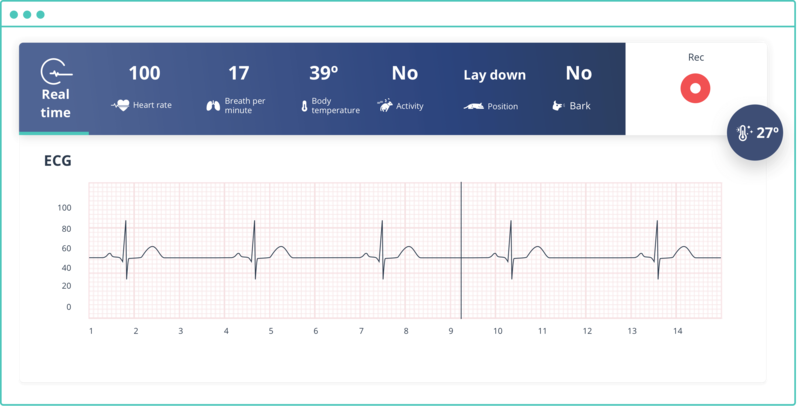 Being able to know if the patient is active or resting will help you contextualize metrics such as heart rate or electrocardiogram. Very useful in case of remote or home-based monitoring, to follow up on therapies related to separation anxiety. Why DinbeatUNO is so unique? DinbeatUNO offers quality medical data with clinical precision. 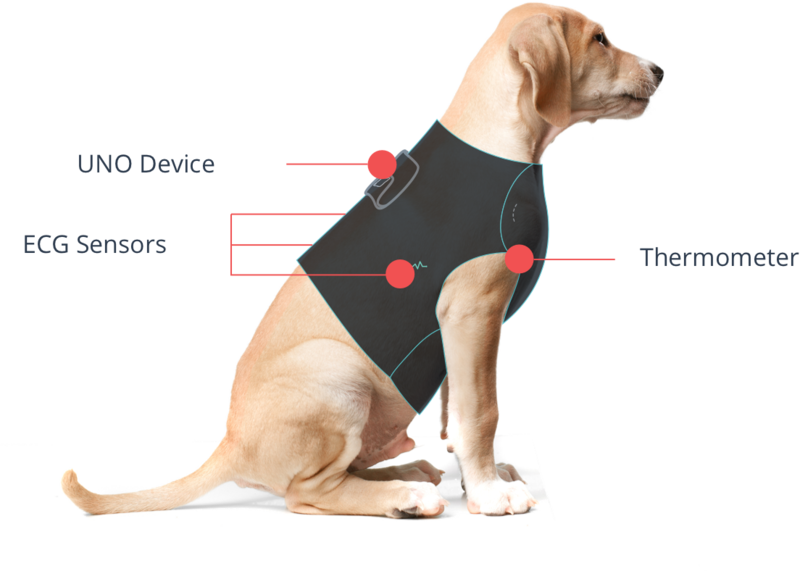 Tested and validated in veterinary hospitals and universities. Our solution is safe and reliable, since we use the same methods that are currently used in veterinary practice. It is an essential work tool that will allow you to monitor all the important health parameters of your patients without the need to sedate them. 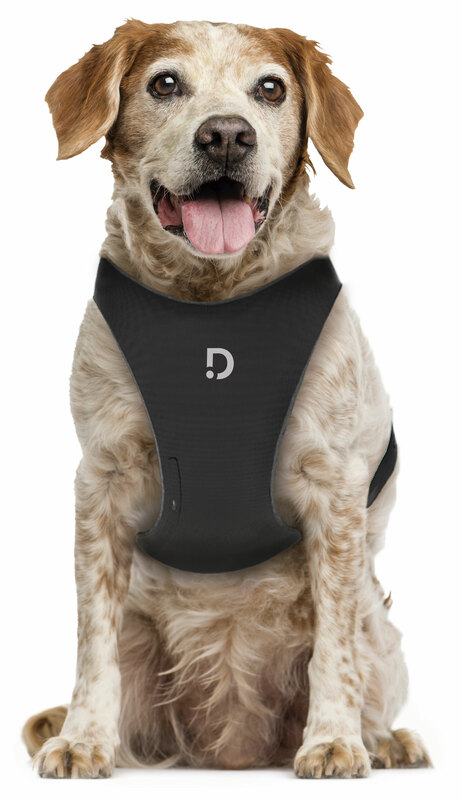 We have developed an intelligent harness to offer maximum comfort to pets and professionals. Ergonomic, breathable and washable by hand. We have 5 sizes to fit most dogs . You can use your DinbeatUNO device with any of them. Are you ready to improve the quality of life of your patients?